This activity is from the new, digital download, Brain Workouts Volume 1. 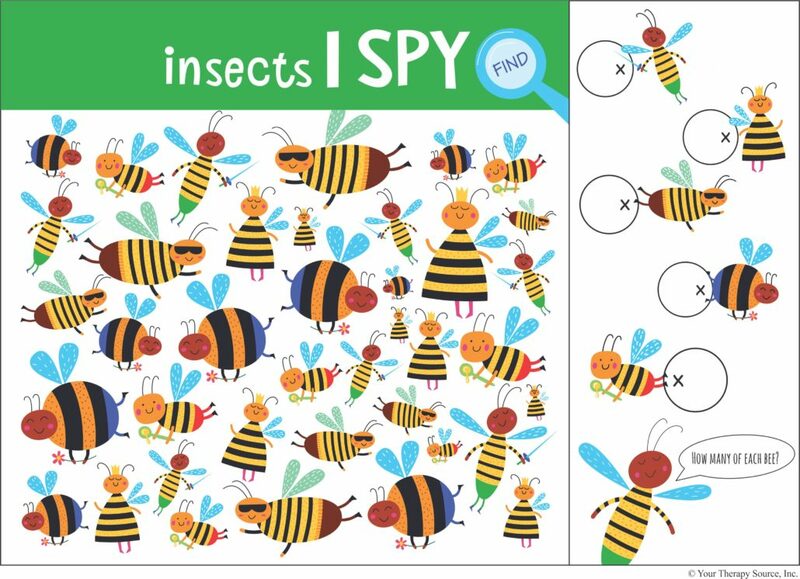 Challenge visual discrimination skills with this no prep, printable – Find the Insect: Bees. Just print and play. Count how many of each bee is pictured and record it in the circle. Activities like this are perfect to entertain the children when they unplug. 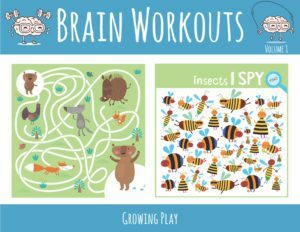 Brain Workouts Volume 1 encourages children to have fun, be active and challenge the brain’s visual perceptual skills. This NO PREP packet includes 30+ mazes, puzzles, physical activities and more! Just print and the activities are ready to go! Perfect for when the children unplug and need to be entertained. This download provides a workout for: visual motor skills, visual spatial skills, visual closure skills, visual discrimination skills, physical activity and creativity. FIND OUT MORE INFORMATION. Illustrations created by Alena Razumova and used under a Shutterstock license.